When the world's richest woman, Liliane Bettencourt, passed away at the age of 94, there was a shakeup on the list of the world's richest women. Well, sort of, at least! 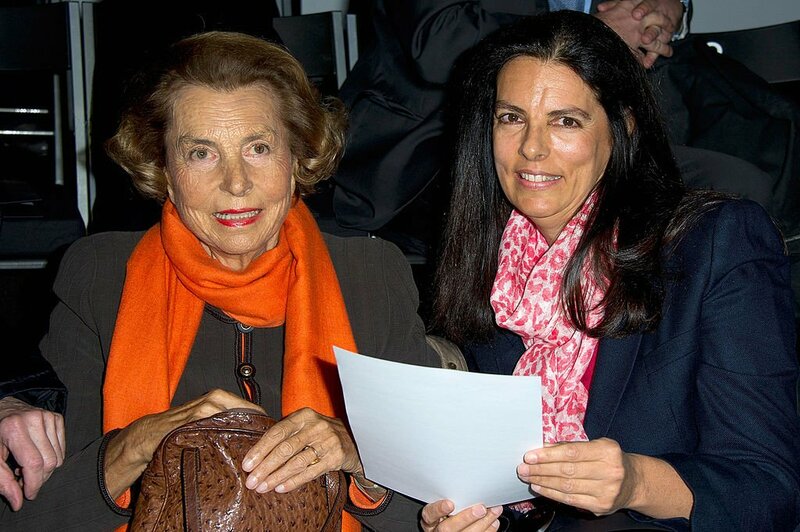 The new richest woman in the world is Francoise Bettencourt-Meyers, the 64-year-old daughter of Liliane. Francoise inherited her mother's enormous L'Oréal fortune upon her death. The Bettencourt family still has a 33% stake in L'Oréal, which has a valuation of $107.5 billion and reported $27 billion in revenue last year. Liliane's father Eugene Schueller founded the cosmetics company in 1907. When he passed away, Liliane was his only heir. Similarly, Francoise is Liliane's only heir, so when she died, under French law, at least half of her mother's fortune must pass on to her. Lilane Bettencourt had a net worth of $46 billion at the time of her death. Francoise Bettencourt-Meyers was born on July 10, 1953. She is the president of the Bettencourt family foundation and the Bettencourt Schueller Foundation, which had about $683 million in assets as of the end of 2010. She is also an academic who has authored books on Jewish-Christian relations and Greek mythology. Her husband, Jean-Victor Meyers is the grandson of a rabbi who was murdered at Auschwitz. When Francoise and Jean-Victor got married it created quite a scandal. Eugene Schueller was accused of collaborating with the Nazi regime. This isn't the only controversial event in the Bettencourt family, however. In 2008, Liliane became the center of a trial and media frenzy over a lawsuit Francoise filed against Francois-Marie Banier, accusing him of taking advantage of her mother. Banier vehemently denied the charges that he participated in abus de faiblesse – the exploitation of a physical or psychological weakness for personal gain. The lawsuit alleged that over the course of Banier's friendship with Liliane, he compelled the heiress to bestow gifts worth $1.5 billion on him as well as make him the sole heir to her fortune, minus her stake in L'Oréal. The case became known across France as "The Bettencourt Affair." As a result of the trial, the already strained relationship between Liliane and Francoise was permanently damaged. The two did not speak to each other for years. In 2011, after a three-year legal battle, Liliane's fortune was placed under Francoise's guardianship. In 2010, Liliane was replaced on the board of L'Oréal by Jean-Victor Meyers. Francoise Bettencourt-Meyers now has a net worth of $43.3 billion. Liliane Bettencourt spent much of her life as one of the wealthiest people on the planet. She just died at the age of 94. This is her story.